Global integrated facility management market stood at $ 84.5 billion in 2018 and is projected to reach $ 127.7 billion by 2024, growing at a CAGR of over 7% during 2019-2024, owing to rising adoption of IoT, changing organizational structure & work management, and increasing development of sustainable infrastructure. Growing presence of many enterprises and increasing demand for connected devices for building automation across various industry verticals are some of the other factors that would drive the market in coming years. An integrated facility management (IFM) system is an information technology (IT) based fiscal and financial management system, which is used by many public and private firms and government entities to commence, spend and supervise their financial statement. The IFM system commences and handles their expenditure, as well as supervises and reports their financial activities. Improving economic conditions across developing countries are boosting demand for outsourced FM services, which is aiding global integrated facility management services market. Adoption of integrated facility management services is expected to grow in the near term due to rising awareness of integrated facility management services and increasing cross-border presence of integrated facility management service providers. These cross-border mergers & acquisitions along with the increased customer network and regional coverage are creating significant market opportunities for integrated facility management service providers. In terms of end users, the market for integrated facility management services has been categorized into BFSI, utilities, aerospace and defense, telecommunication, manufacturing, supply chain & logistics, real estate & infrastructure, healthcare, retail and others. Among the end users, real estate & infrastructure segment dominated the market in 2018 and is expected to maintain its market dominance during the forecast period, primary owing to rapid infrastructure development and rising focus on integrated facility management services. In 2018, North America lead global integrated facility management market, with the US being the largest market for integrated facility management services, on account of growing real estate sector in the country. Moreover, organized players are increasingly outsourcing facility management services, which is further fueling growth of the US integrated facility management market. Additionally, integrated facility management service providers are investing in building construction and integrated services, which is anticipated to boost the market in the coming years. Market consolidation at the global and regional scale is increasingly common in the competitive integrated facility management market. Some of the major players in global integrated facility management market are Compass Group PLC, Sodexo, Inc., CBRE Group, Inc., Cushman & Wakefield, Jones Lang LaSalle Incorporated (JLL), ISS Facilities Services Inc. and others. To analyze and forecast global integrated facility management market size. To classify and forecast global integrated facility management market based on type, resource type, solution, deployment type, end user and regional distribution. To examine competitive developments such as expansions, new product launches, mergers & acquisitions, etc., in global integrated facility management market. To conduct the pricing analysis for global integrated facility management market. To identify and analyze the profile of leading players operating in global integrated facility management market. Some of the major players operating in global integrated facility management market are Compass Group PLC, Sodexo, Inc., CBRE Group, Inc., Cushman & Wakefield, Jones Lang LaSalle Incorporated (JLL), ISS Facilities Services Inc. and others. TechSci Research performed both primary as well as exhaustive secondary research for this study. Initially, TechSci Research sourced a list of service & solution providers across the globe. 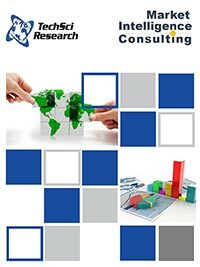 Subsequently, TechSci Research conducted primary research surveys with the identified companies. While interviewing, the respondents were also enquired about their competitors. Through this technique, TechSci Research could include the service & solution providers which could not be identified due to the limitations of secondary research. TechSci Research analyzed the service offerings, distribution channels and presence of all major service & solution providers across the globe. TechSci Research calculated global integrated facility management market size using a top down approach, where data for various applications across various end-user segments was recorded and forecast for the future years was made. TechSci Research sourced these values from the industry experts and company representatives and externally validated through analyzing historical data of these service types and applications for getting an appropriate, overall market size. Various secondary sources such as company websites, news articles, press releases, company annual reports, investor presentations and financial reports were also studied by TechSci Research. The study is useful in providing answers to several critical questions that are important for industry stakeholders such as service & solution providers and partners, end users etc., besides allowing them in strategizing investments and capitalizing on market opportunities. Company Profiles: Detailed analysis of the major companies operating in global integrated facility management market.